Flexia Pro offers advanced Blog feature to create Blog page with ease. Go to Customize > Blog Styles to configure your blog page. You will see the options to configure Blog Header, Blog Content and Single Posts. 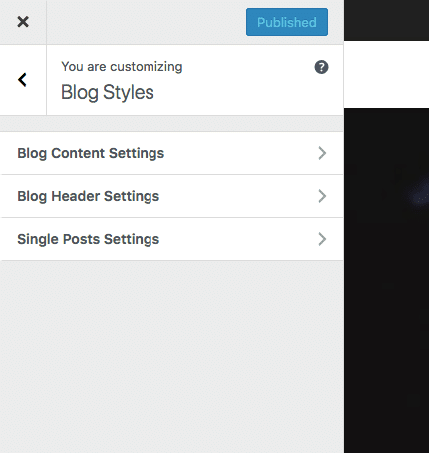 You can go to Customize > Blog Styles > Single Posts Settings to take control over post layout. This is global settings and you can override this settings from “Post Settings” of each post, individually.